Are you searching for the best HEPA air purifier? Really it’s a tough job to find the best one when there are a lot of great quality purifiers available on Here. It needs hours of research and analysis to find the right and suitable HEPA air purifier from many. But, no need to worry! We have done the job for you. Here, we are presenting you the top rated and best-selling air purifier for which is Rabbit Air MinusA2 Ultra Quiet HEPA Air Purifier. 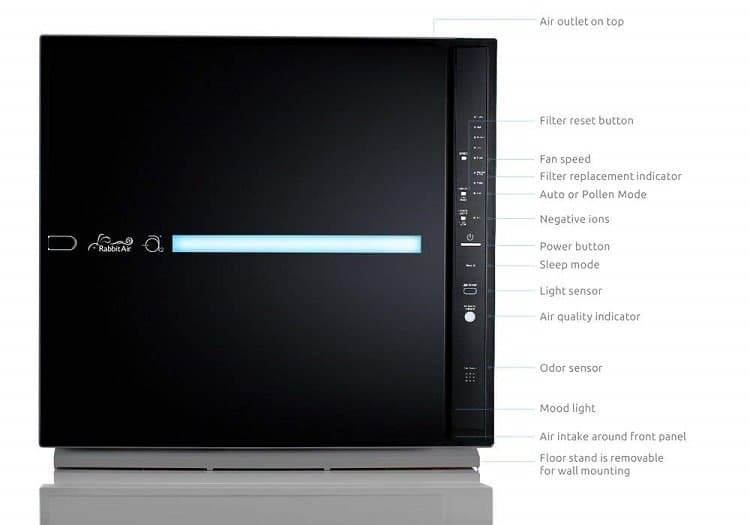 It's not only a true HEPA air purifier but also includes all the advanced features that you need. So, keep reading to learn its best options in detail! If you have already searched for the best air purifiers, you must have got the Rabbit air minusA2 in the top list. It’s one of the highly recommended air purifiers that most people use for home and office premises. One of the exceptional features of the device is, it can cover large rooms effectively without making any noise. However, it might take a long time purifying the large room air quality compared to the small ones below 700 sqr ft. Certainly, you will get a 99.97% pollutant free, fresh and breathable air. Moreover, the greatest advantage of this air purifier is the ability to detect the air quality. Whenever, the device realizes the indoor air contains pollutants, automatically it adjusts the speed and begins the filtration process automatically. So, you don’t need to manually operate the device every now and then. You can just install the device, sit back and relax. The Rabbit Air MinusA2 air purifier will do the job. Even though this device doesn’t come with a programmable time, the automated cleaning function will be enough for you to provide clean air from time to time. Also, you don’t need to set the timer because the device will run automatically when needed. Nevertheless, the sleep mode and filter monitor gives you the additional benefit to get purified air when you are in sleep. When you are searching for the best air purifier at a budget-friendly price, but most of them are pricey, then the Rabbit Air MinusA2 gives you relief. 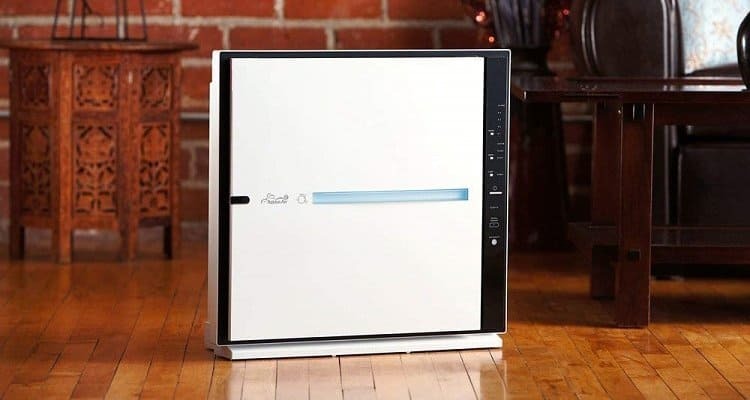 It’s one of the best air purifiers that contain all the advanced features worth the money. Whether you are thinking of installing an efficient air purifier for residence or commercial space, you can get this Rabbit Air MinusA2 air purifier when you are on limited budget. When you are buying an air purifier, you must pay attention to the room coverage capacity of the device. The Rabbit Air MinusA2 is suitable for large rooms. And it can cover a space up to 700 sq. ft. The device comes with six stages filtration system which includes BioGS HEPA filter, pre-filter, carbon filter, negative ion generator, and customized filter. Additionally, it includes a deodorizing system. All of these filter work along to remove all types of airborne pollutants and unpleasant odor. So, if you have a pet or smoking person at home where you need to deal with the unwanted smell, this purifier will remove the odor and deodorize the room instead. The Rabbit MinusA2 comes with an air quality sensor which is not common in most air purifiers. This sensor helps to monitor and evaluate the indoor air quality. Therefore, the device activates the filtration system according to the speed it requires to clean the air. Additionally, the air purifier includes some advanced features that help the user operate the device hands-free. The automated operation, night mode, speed control, filter light indicator, germ defense, pet allergy, toxic absorber and so on. Here, these technologies help the device to understand the user’s need and it operates automatically when needed. Even though it runs on high speed at night, the device won't hamper your sleep since it ensures noise-free service. The benefits of using an air purifier need no description. If asked specifically about Rabbit Air MinusA2, it wouldn’t be a mistake to say, this air purifier can give you the utmost pollutant-free air that you need. Six stages filtrations system includes pre-filter, medium filter, carbon filter, BioGS HEPA filter, customized filter, and ion generator . Hope, you have easily understood the information we have shared about Rabbit Air minusA2 air purifier. You can completely trust us because we don’t allow any wrong information on our review. All of the information included in the review is well researched. I think you have no confusion about purchasing this air purifier by Rabbit Air. If you have any question or any confusion on our review, please feel free to leave your comment. We will answer your question in a short time. Have a fresh and breathable air with your Rabbit Air MinusA2 Ultra Quiet HEPA Air Purifier!